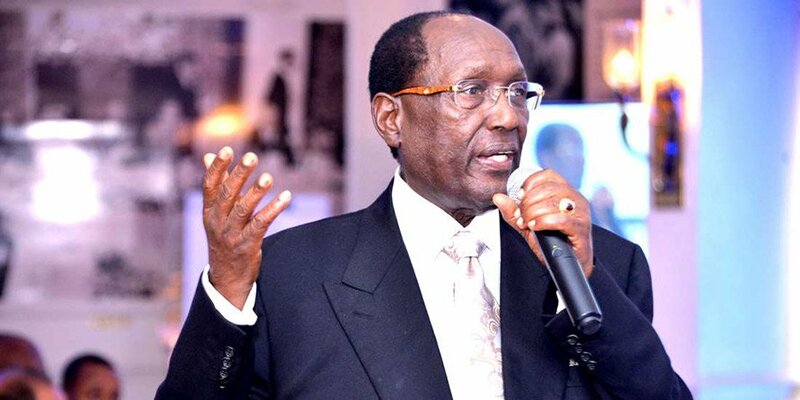 Chris Kirubi Farming: Although he is widely known for his formal business ventures, billionaire industrialist Chris Kirubi has also ventured into agribusiness. He owns a 600 acre farm that is situated in the outskirts of Thika Town. Chris Kirubi farming: The farm is known as Bendor Farm. Today, we take a look at this farm as have been previously captured on mainstream and digital media outlets including Top Farmer. How big is this farm? The farm is big. It is 600 acres and you need a car or a horse to go round it. How did you acquire such an expansive farm? I bought this farm from a bank which had put in on auction. It had been abandoned for some time by the previous owners after they went bankrupt. I took a long time to figure out whether to do farming or to sit on it or turn it to a tourist destination. After a few years, I decided to continue with coffee farming. I chopped down all the trees and had to get them to grow again. In the meantime, I established a nursery to grow coffee from seed and eventually I transplanted them at the farm To maintain coffee you need good management and discipline since it is sensitive to many diseases. The chemicals must be the right one. Why did you decide to grow coffee? The good thing with coffee is that it can last for many years as long as you take care of it. It is a good crop to have. The major problem is the international prices which keep on shifting. Kenya coffee is expensive to maintain and governmenthas to find way so that we can add value to our coffee. Markets have blocked us from selling value added coffee. The coffee farm is not profitable right now. I am still thinking what to do. Some people have been abandoning coffee farms for real estate. You haven’t. Yes, there are many people discarding coffee for property development. This is sad. Coffee trees are great and the government should support coffee farmers and farms. There is always a price to be paid; you must sacrifice your time, resources and even your lifestyle so as to be fruitful in some ventures. I faced many challenges along the way and now I face an even greater challenge with my farm because of factors beyond my control, but what do you do when faced with such a hurdle? It’s time to change course. Most of us do not take change kindly but sometimes it is necessary. What lessons have you learnt from Bendor Farm? If something is not working out then you must look for another method or worst case scenario, change course and venture into something else. Most coffee farmers will agree with me that it is very expensive to maintain especially on a small scale level, and because the market prices are not friendly then we cannot sit there and throw a pity party. We need to regroup ourselves and look for a way out lest our land becomes totally unproductive. This by the way applies to any kind of farmer or businessman for that matter. I also keep lots of goat and sheep and have them fattened and I sell them to my friends. I also have some cows. I will soon get some good cows and become a dairy farmer. I always say that you must become curious about how you can use the situation you are in to become better, learn something new or create something different… In other words take control of what’s happening for you. Don’t be influenced by negativity in others- take control of what’s going on for you. Some of the greatest achievements have come from great adversity. That was a good venture that time. Congrats.